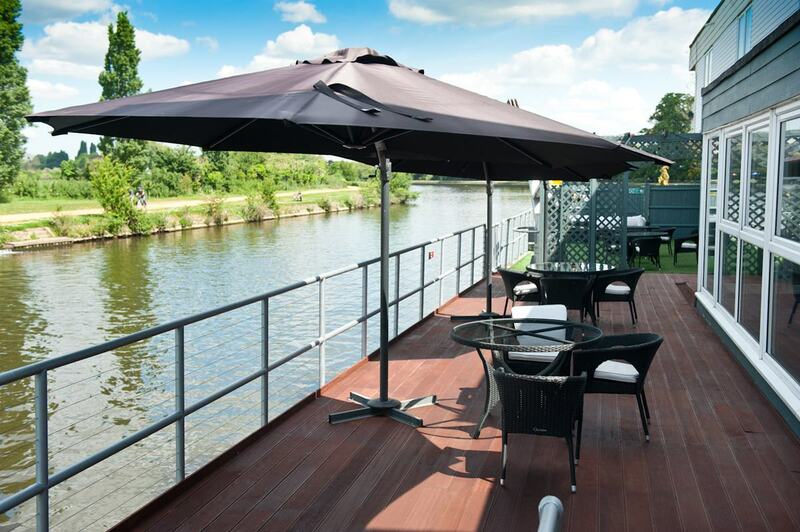 Sitting proudly in the middle of the Thames and only accessible by boat is the beautiful <a href="https://hirespace.com/Venues/London/74323/Ravens-Ait-Island"_blank">Raven’s Ait. 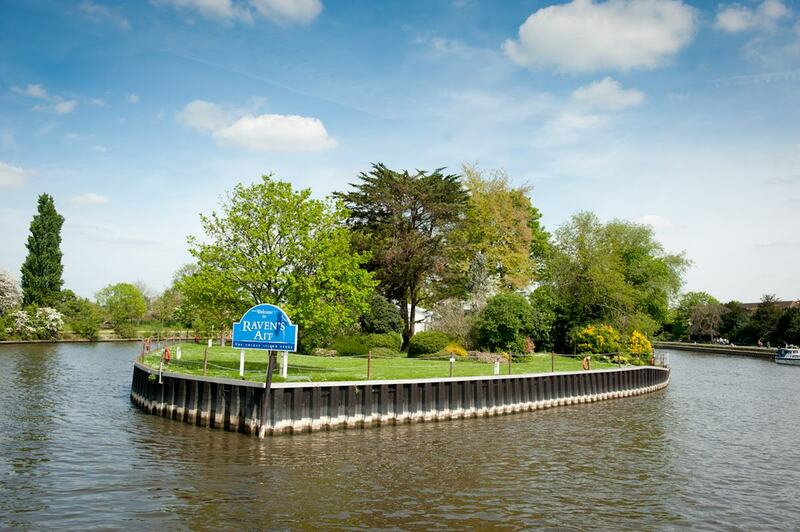 A private island located between Surbiton, Kingston and Hampton Court, it combines idyllic countryside surroundings with a fantastic location in close proximity to London. Reminiscent of a quintessential English garden, the island covers two acres with beautiful landscaped lawns, manicured gardens and weeping willows. 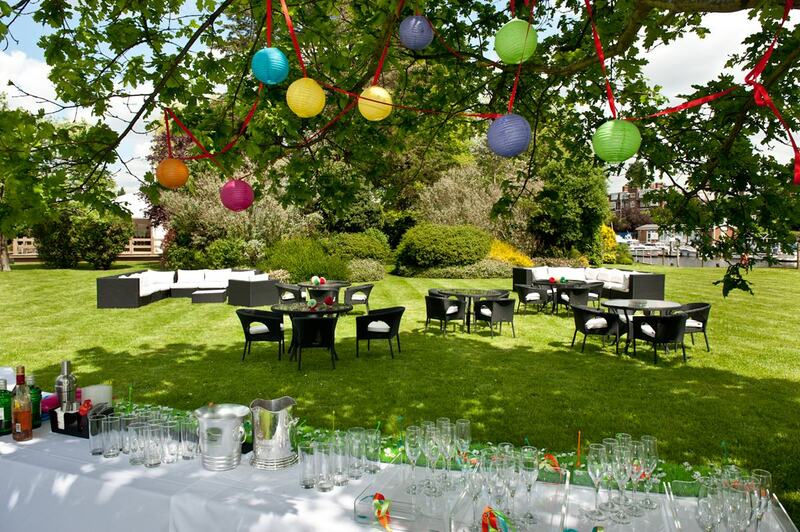 The island boasts a number of spaces that can be used for a variety of corporate events . A large <a href="https://hirespace.com/Spaces/South-East/130134/Ravens-Ait-Island/The-Marquee-Front-Lawns/Business"_blank">marquee sits on the vast lawns, surrounded by a decked boardwalk and beautifully tended gardens. 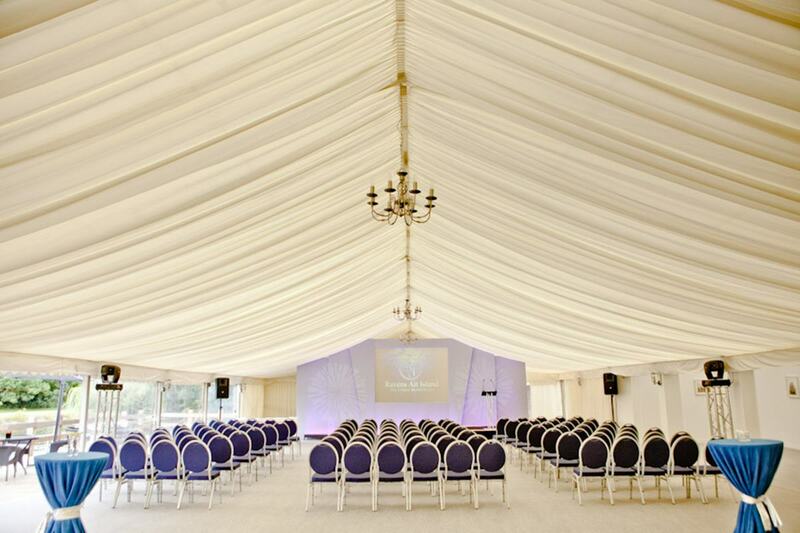 The largest space on the island, it has a capacity of up to 400, making it ideal for award ceremonies and conferences. It boasts a simple and elegant ivory lining that can be adapted to suit your any theme. 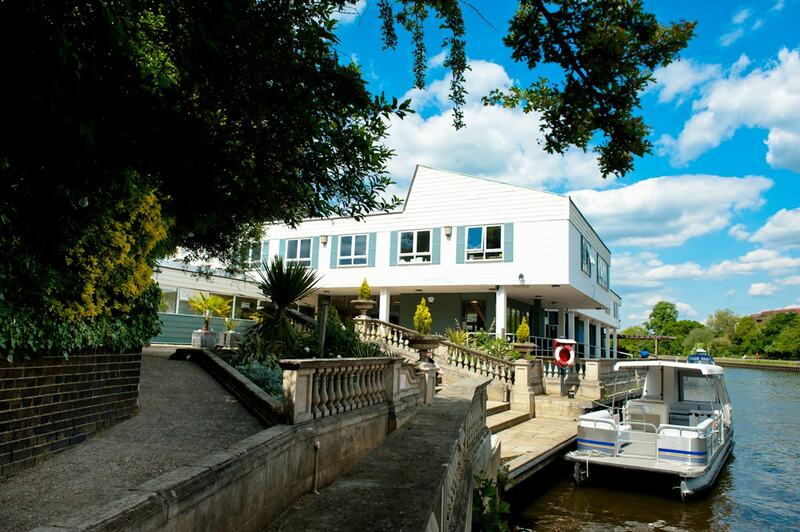 The <a href="https://hirespace.com/Spaces/London/130342/Ravens-Ait-Island/The-Britannia-Suite/Weddings"_blank">Britannia Suite is located within the main building and has views of the Thames on both sides. Its bi-fold doors let the outside in, flooding it with daylight and leading onto a terrace area that overlooks Hampton Court Palace. It is also complete with its own bar and can hold up to 250 guests. 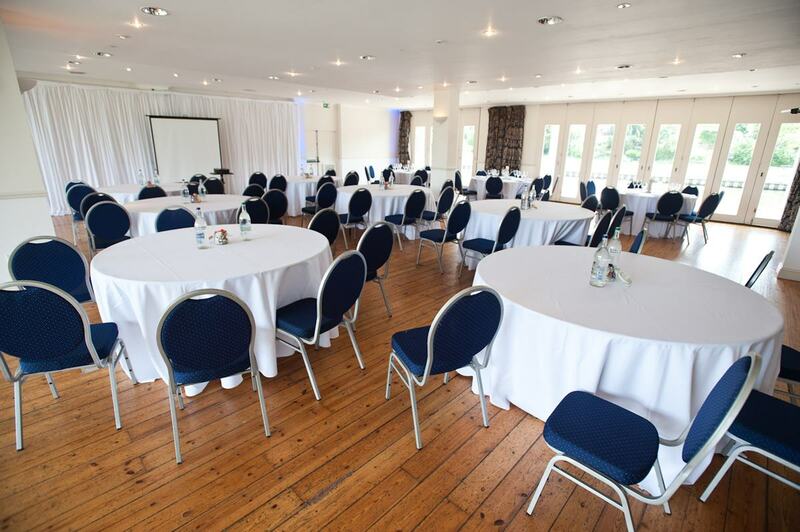 Adjoining the Reception space, The <a href="https://hirespace.com/Spaces/London/132464/Ravens-Ait-Island/The-Thames-Suite/Weddings"_blank">Thames Suite is multi-functional as it can be divided into two smaller rooms or opened up for a larger conference. Floor-to-ceiling windows also boast beautiful views of the Thames. The Lambourne Suite can also be used in conjunction with the other rooms if breakout areas are needed, making the venue highly flexible. With great trains links to from Surbiton, the island is easy to reach from Central London. Raven's Ait is exclusively reached by boat, providing a unique and memorable experience for delegates, you'll also feel like you are deep in the countryside when you are in fact just a 17-minute train ride to Waterloo.